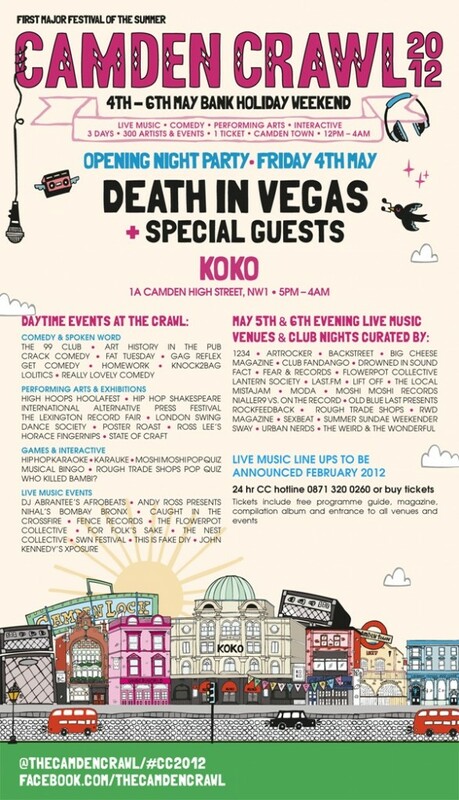 The initial line up of curators and opening, guest act have been announced today for this year’s Camden Crawl 2012. The North London festival has invited us back for the 3rd year running to curate one of the venues on the Crawl so we are proud to announce that we will be hosting bands and more at the Electric Ballroom this year all day on Saturday, 5th May. Enjoy the initial line up from the announcement made this morning with Death In Vegas (Richard Fearless) opening the event. 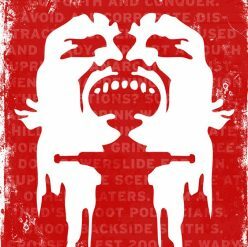 We will give you more information of who will be playing live and other fun stuff we will have planned for the Crawl this year soon as the process of elimination takes place. We will also be aiming to have a party in the evening after the daytime event, so look out for updates as they roll out. Get your tickets in advance before this prestigious event sells out now from here. You can follow all of the updates through Facebook and Twitter.